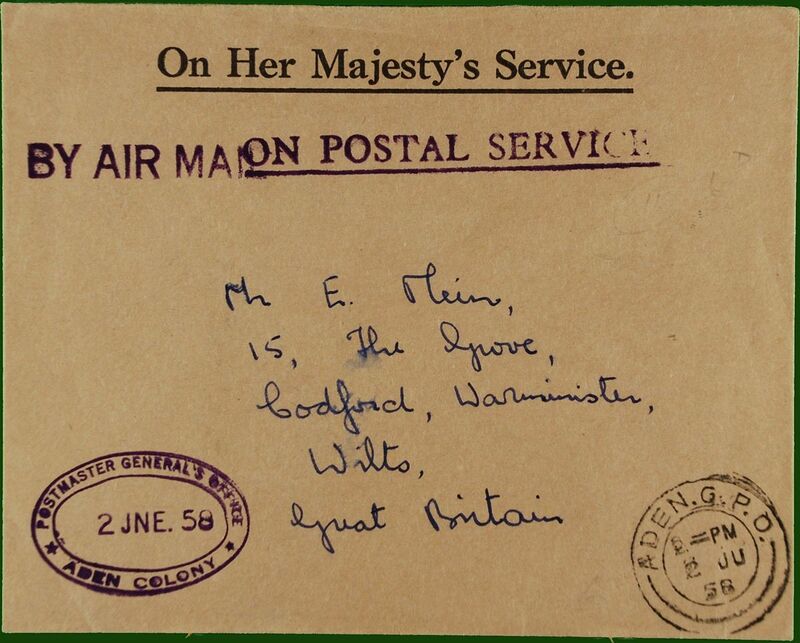 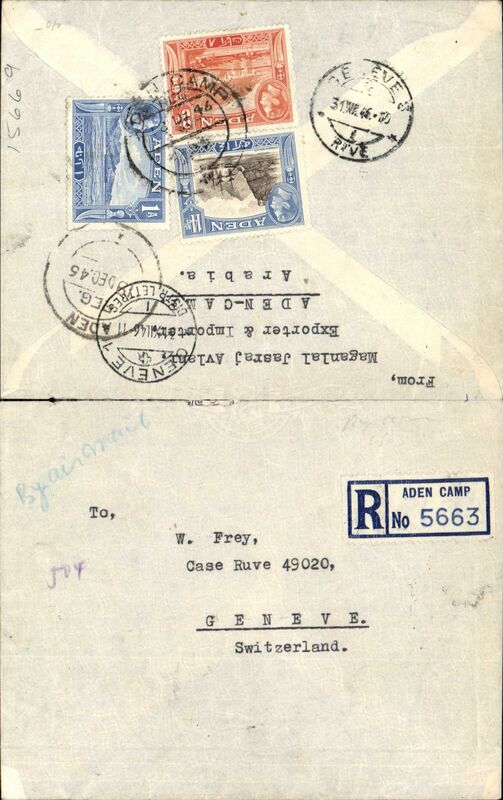 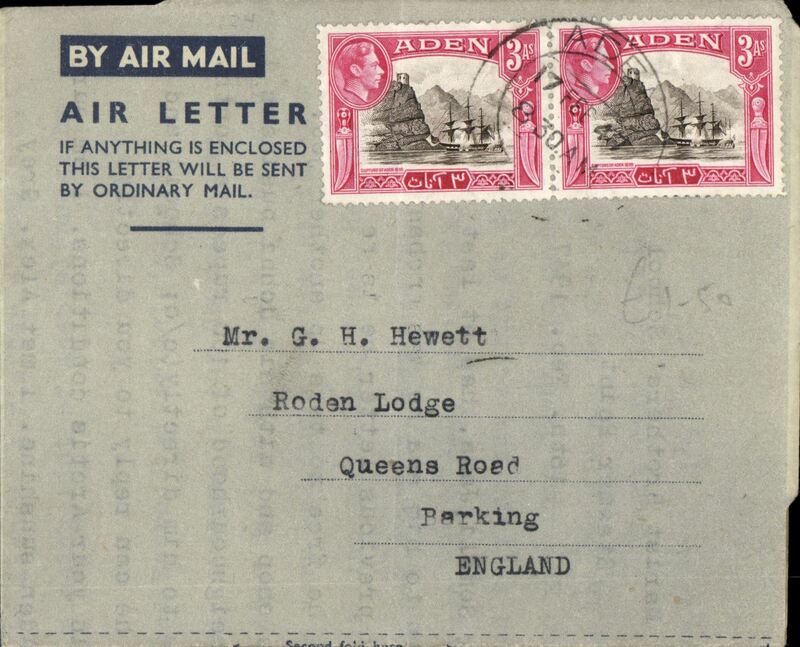 Aden to England airletter franked KGVI 3a x2. 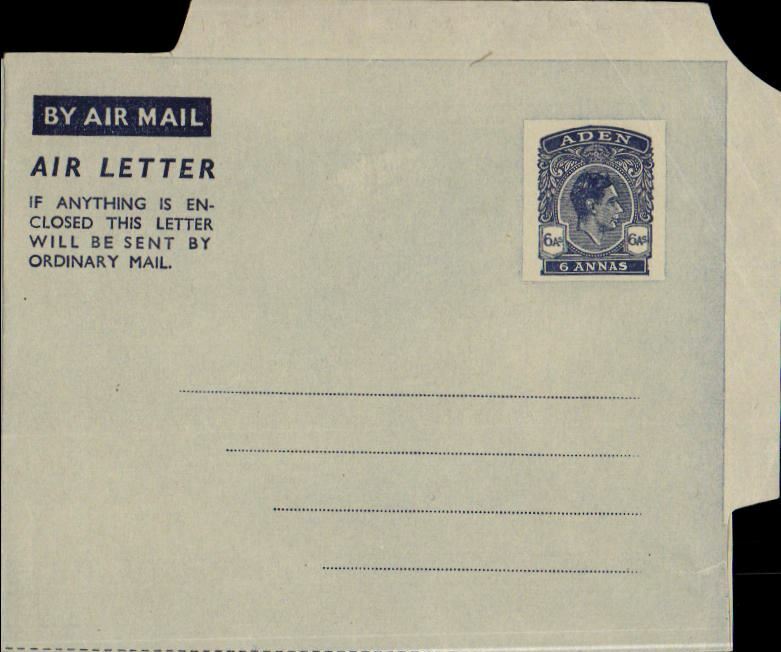 KG VI air letter 6 annas dark blue, fine unused. 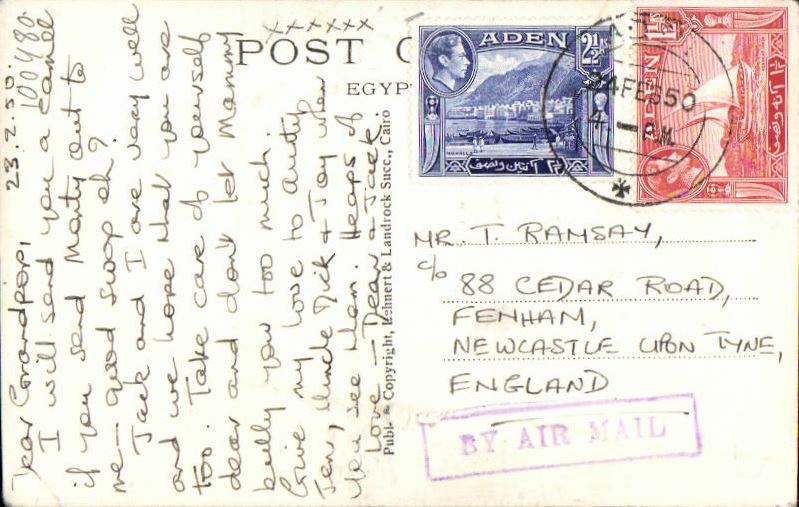 Aden to London, airmail B&W PPC with dessert scene (cornner crease), franked 1 1.2 and 2 1.2 annas (KGVI), violet framed "By Air Mail" hs.